Premium Air System, which was established in 1980, is considered as one of the foremost manufacturer and supplier of high-end commercial kitchen exhaust applications today. It offers a complete range of products for restaurants and other commercial establishments. It specializes in the manufacture of standard and custom built Premium Air Kitchen ventilation fan units at competitive prices and fast turnaround. Among its notable clients and key accounts include McDonald’s, Taco Bell, Long John Silver’s, Pizza Hut, KFC, Big Boy’s, White Castle System, Tubby’s Restaurant, Steak and Ale, Ponderosa, Bennigans and Dunkin Donuts. The kitchen ventilation applications by Premium Kitchen are 2-tier solutions that involve exhausting of stale and humid air and introducing makeup air into the kitchen area. Whether you need a ventilation solution for a free standing restaurant or a large cooking station in a commercial establishment, the control and maintenance of airflow is a major issue. Ventilating restaurants and commercial kitchens has always been a major challenge and a Premium Air kitchen ventilation fan is one of the popular options for restaurant owners and business managers. Premium Air kitchen ventilation fan units are the logical choice if you need to move significant amounts of stale and humid air and unwanted odor through a system of ducts and when you have to work on a very limited space in your workstation. When choosing the Premium Air kitchen ventilation fan that is suited to your business needs, you have to take note and understand the comparative advantages of the different types of kitchen ventilation fans and kitchen exhaust systems. In addition to these, you also have to learn and understand the important principles and concepts behind air flow and kitchen ventilation. And before you pick the ventilation solution for your restaurant or commercial kitchen, read through and understand the quality and safety standards for this type of kitchen ventilation system. 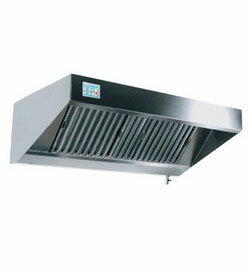 This is the starting point of any kitchen ventilation design and application. Exhaust air consists of humid, grease-laden vapor and smoke-laden air generated by cooking and other kitchen appliances. The air must be vented out of the commercial kitchen in a manner that is compliant with existing ordinances and safety codes. Makeup air, which is also known as supply air or replacement air, is an important element of the kitchen ventilation solution. The kitchen ventilation system must have the provisions that will introduce approximately the same amount of makeup air to “replace” the exhaust air. Generally, air from the external environment is introduced into the commercial kitchen space either by an independent make-up air system or a makeup air device that is integrated into the HVAC system of the business establishment.